In the event that one of your staffers gets injured on the job, workers’ compensation insurance will cover his or her medical costs and wages during the recovery period. Workers’ compensation insurance benefits are available to employees who are injured or become ill as a result of a work-related incident. If one of your employees is injured on the job and is medically authorized to take time off from work, he or she will be reimbursed for lost wages and all of the medical expenses related to the treatment and rehabilitation. What are the reporting procedures for injuries and illnesses? If employees are injured, they should notify you immediately to file a report. This will initiate the process for receiving workers’ compensation benefits. 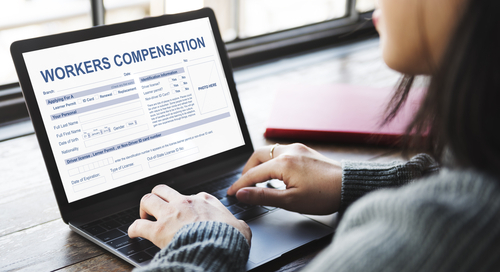 Lost compensation is payable during the time period in which employees are authorized by their treating physicians. Benefits are paid weekly at a state-specific percentage rate of their average weekly wage, up to a maximum dollar amount. There is also a state-specified waiting period before benefits are available. What is an independent medical exam (IME)? An IME is an exam by a medical professional other than the physician who first examined an injured or ill employee. As the employer—and insurance carriers—you can request an IME to confirm an original diagnosis and treatment plan. What happens if employees do not comply with recommended treatments? Non-compliance with recommended medical treatments, therapy or return-to-work plans may jeopardize workers’ compensation benefits. Implement a return-to-work policy in which employees work modified duty until they are fully healthy to do their jobs. Orient and train your employees on safe practices necessary for their job functions and tasks. Insist that employee claims are reported promptly. Investigate the cause of injuries and illnesses. Contact MountainOne Insurance to learn more about how this coverage can help you protect your home-based business. Insurance and Investments are not insured by the FDIC and are not deposits or obligations of, or guaranteed by, any depository institution. Funds are subject to investment risks, including possible loss of principal investment.